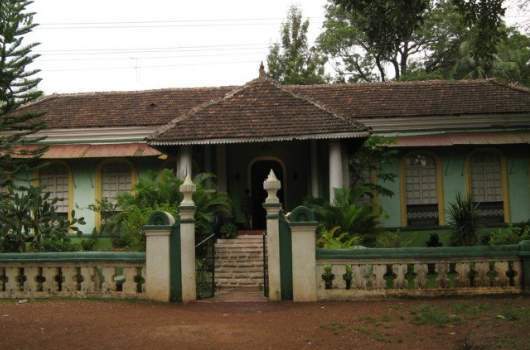 This mansion in Loutolim, a South Goa village is famous for the many large and beautiful houses spread out in a radius of about 1 km from the nucleus of the village. The Costa mansion was built in the 19th century by two wealthy siblings and priests, Padre Pedrinho and Padre Laurence. 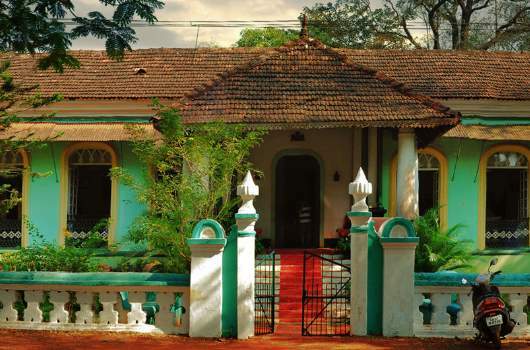 Built in the Indian style (low pitched tiled roof, wide verandas) with European accouterments (Gothic- style windows, cluster columns), its architecture straddles both worlds just as Goa still does.